This entry was posted in italy, movies and tagged cinema, italian films, latin lover, movies by Michele. Bookmark the permalink. Interesting how genetics can determine the physical fate of the offspring based on the topical criteria of beauty at any given time in history. 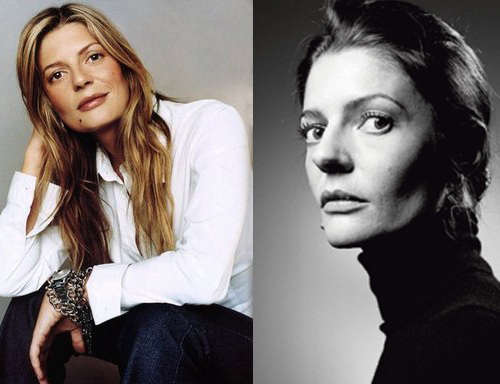 As in the case of Chiara Mastroianni; quite a handsome woman by my standards. If she had the choice would she have preferred to look more like her mother? It seems that genes rule the world! It is interesting that a couple of hours ago I was in a meeting in which they asked all of us to put together a list of our 10 favorite movies and the first one that cam eto my mind was La Dolce Vita! What a coincidence! Thanks for sharing the pictures. What delicious photos these are. I caught up with your last postings this time. Thanks for being so productive and keeping us posted with your work and presence. it always amazes me how we share the same thoughts or at least visual references and prejudices. 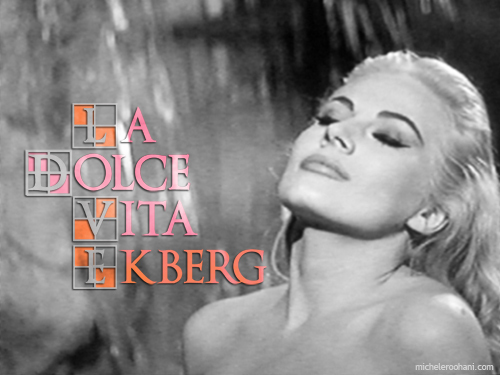 You will never know how much pleasure as a young man the photo of Anita Ekberg in the fountain gave me. but when I became a man, I came to believe, and still do, that Catherine Deneuve is the most beautiful woman of the 20th century. My one story, of which i heard from a reliable source, was that of Catherine pulling up to valet service at some posh Paris restaurant in a Porsche, stick shift, dressed to the nines with high heels, and than entering the restaurant, by herself, quickly. If looks aren’t everything, than that sealed the deal for me. Thanks for bringing back on stage La Dolce Vita. Aah! What a wonder full post and what a wonderful actor. 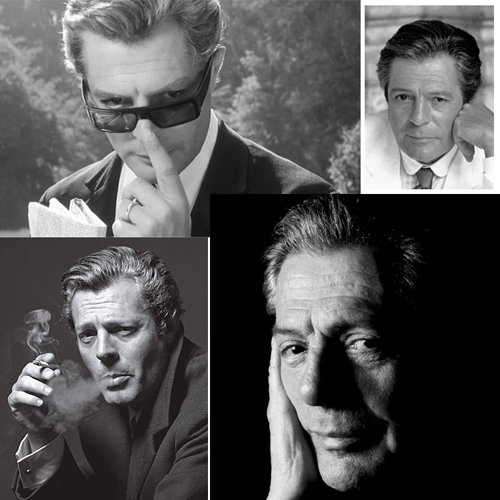 My most favorite Italian actor of the postwar era, Marcello Mastroianni in my opinion was among the most popular international stars in movie history. A speculative presence of directors like Michelangelo Antonioni, Federico Fellini, and Luchino Visconti, with whom he achieved some of his greatest success. As you mentioned Fellini’s 1960 masterpiece, La Dolce Vita; was a global smash hit. I add to it Antonioni’s 1961 “The Night” and his 1963’s masterpiece “8 ½” with Fellini. 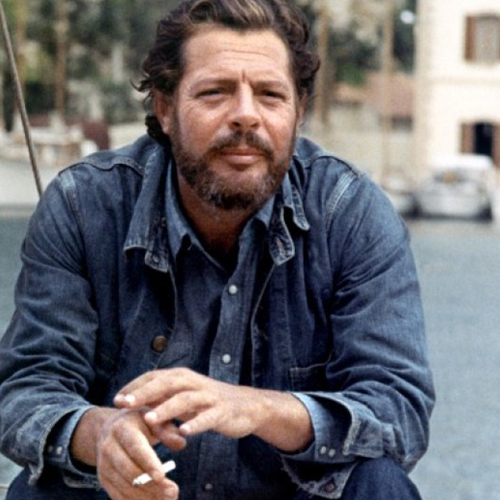 Back in those days, and still today, if a film was made by Fellini, Antonioni, or Visconti I would go to see and if Marcello played in it I was in the line to buy a ticket. Thank you for this memorable beautiful post.